Midwest Dermatology Providers Suleman Bangash, D.O. Dr. Suleman Bangash is Board Certified in Dermatology and is a Fellowship trained Mohs Micrographic Skin Cancer Surgeon. Dr. Bangash is originally from the Elgin area and is a graduate of Elgin Academy. He attended Northwestern University for his undergraduate studies and attended medical school at the Kirksville College of Osteopathic Medicine. He did his internship training at Summa Health System, in Ohio, and then completed his Dermatology residency in New York City at the Lutheran General Hospital. After completing his dermatology training, Dr. Bangash was one of only 40 physicians chosen nationwide to do an additional year of Mohs Surgery fellowship training. He completed his Moh’s Surgery Fellowship in Tallahassee, Florida at a program accredited by the American College of Mohs Surgery. As a fellowship trained Mohs Surgeon, Dr. Bangash is trained in the surgical removal, pathologic interpretation, and reconstructive surgery of skin cancer. As an expert in Cutaneous Oncology, he is involved in the treatment, management, and regular follow-up of high-risk skin cancer patients.Dr. Bangash continued his work for two years at Dermatology Associates of Tallahassee as an Attending Mohs Surgeon. He then returned to his hometown in the northwest suburbs of Chicago, where he now practices at Mohs Surgery and Dermatology Center, with offices located in Elgin and Crystal Lake, IL. Dr. Bangash is a staff physician affiliated with Sherman and Provena St. Joseph Hospitals in Elgin, Centegra Woodstock Memorial Hospital, and St. Alexius hospital in Hoffman Estates. Dr. Bangash has lectured and presented at national meetings of the American Academy of Dermatology and the American College of Mohs Surgery. In addition, Dr. Bangash has been published in the Journal of the American Academy of Dermatology and Dermatologic Surgery. As an educator, Dr. Bangash has taught Mohs Micrographic Surgery to Dermatology residents in New York City. Dr. Bangash has been featured in the local media and since 2004 has volunteered to conduct free skin cancer screenings for the American Cancer Society and the American Academy of Dermatology. 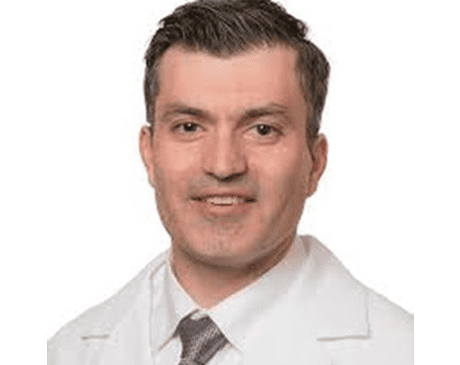 Dr. Bangash is a member of the prestigious American College of Mohs Surgery, the American Academy of Dermatology, the American Society for Dermatologic Surgery, and the American Medical Association. Dr. Bangash is an avid outdoorsman and sports fan. He resides with his wife in the Chicago area.